everything these days and as a good steward of the quilting industry, I make sure to purchase my fair share (ha!). 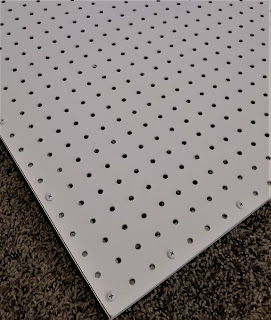 Recently, my husband and I completed a simple pegboard project for my craft room. Here’s how we constructed it. 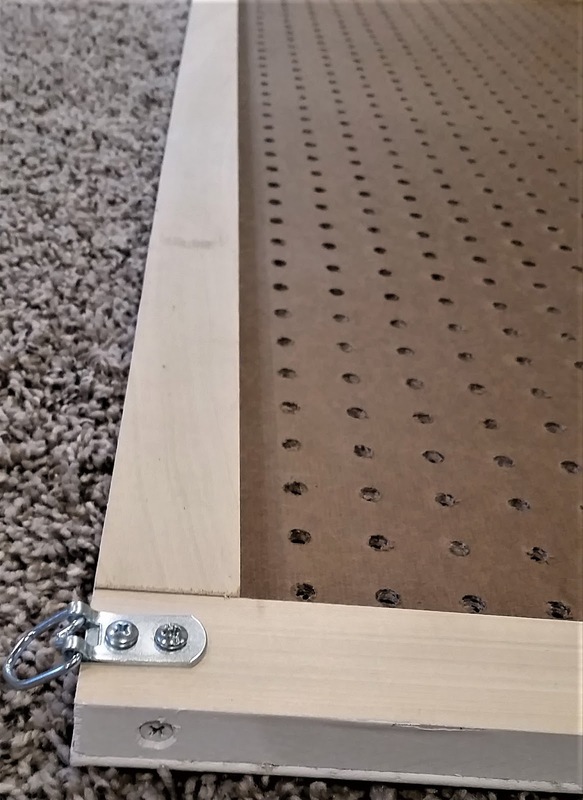 I’m sure there are fancier and much nicer options and instructions out there – but I love what we made! need to find a different hanging option. (We just happened to have the hangers left over, so we used them.) 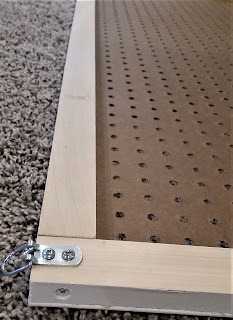 This is how we chose to approach this craft room project. 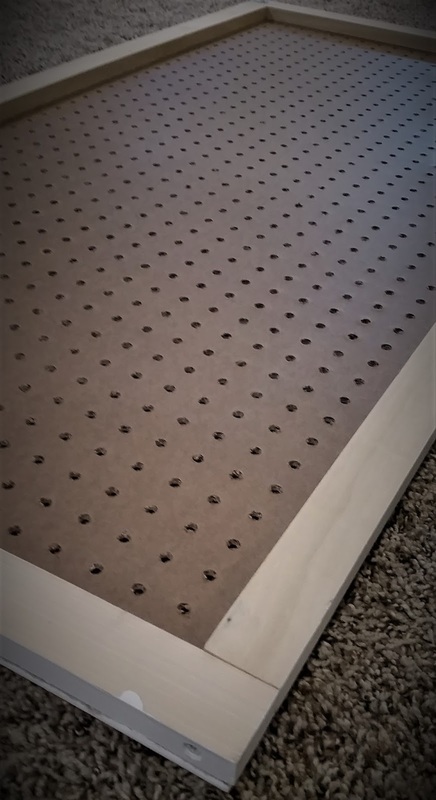 Of course you can customize the size or materials used to fit your space! 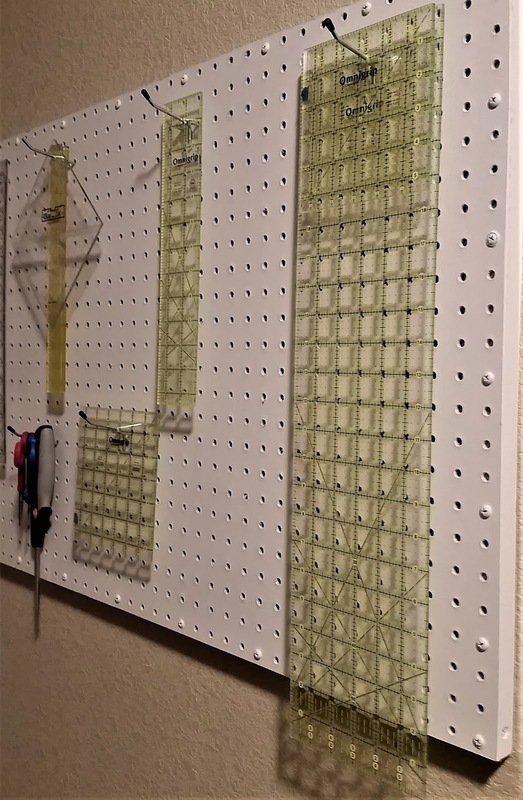 We then used monkey hooks and hung the board up in my craft room. Again, we just happened to have leftover monkey hooks to use, so we used them. Also, we think they’re easier to install and easier to remove from the wall (without leaving a large hole like some anchors do). 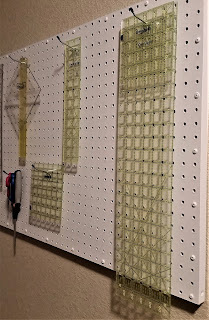 After it was hung up, I inserted the pegboard hooks where I wanted them and added two to three rulers to each hook. I also hung up a handful of scissors. It’s so nice to reclaim some of my cutting table space now that I don’t have rulers scattered all over! white - including the screws! we did have to buy, it was under $35. I think it was money well spent in my craft room! How do you keep notions organized in your craft room?